Chuck Grassley (R-Iowa), chairman of the Senate Judiciary Committee, has asked President Donald Trump to overturn a policy that seeks to restrict responses to oversight requests from committee chairmen, Politico reported Friday. The White House and the Justice Department’s office of legal counsel instituted the policy that ignores oversight requests from Democrats and other rank-and-file congressional members. The policy “harms not just the members who happen to be in the minority party at the moment, but also, members in the majority party who are not currently chairmen,” Grassley wrote in a letter to Trump. “It obstructs what ought to be the natural flow of information between agencies and the committees, which frustrates the constitutional function of legislating,” he added. 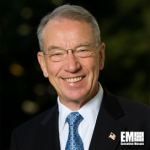 Grassley urged the executive branch to act in good faith when it comes to cooperating with congressional members’ requests.